Marvelous Designer can add internal pressure to objects that are sewn together. This is great for anything that contains stuff, like satchel bags or pillows. Let me demonstrate how to use this feature by making a simple pillow. Drag out the shape that is to become your pillow in the 2D window. 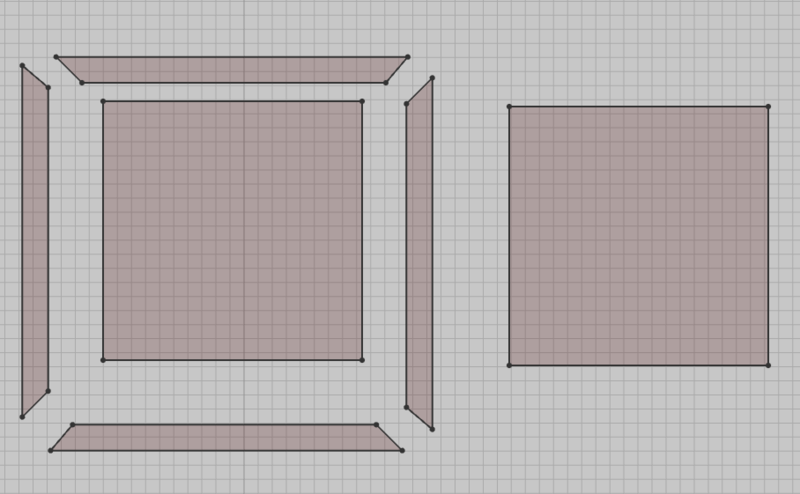 A simple square will do. Sew it together on all four sides. Add embellishments if you like – I’ve added the four frilly bits to the outside, but they’re just to make it look pretty. Position the pieces of the pattern roughly in the 3D view. In the screenshot below I had already simulated, hence the deformations. I thought it’s good to show the sewing lines nonetheless. 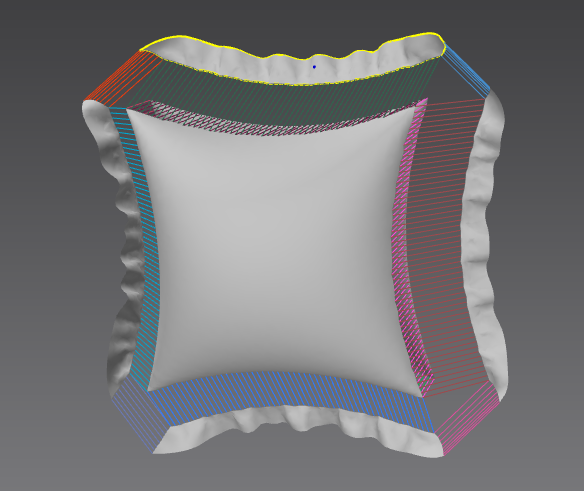 Before starting the cloth simulation, make sure the normals of both pillow patterns face outwards (showing light grey). That’s because the pressure we’ll a apply in a moment will move the garment into the direction of the normals. If both parts of the pillow were to face the same way, your creating will float away endlessly into space. Select the two main pillow patterns and head over to the Property Editor window. 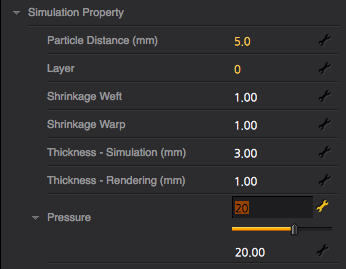 Under Simulation Properties, find the Pressure slider and set it to something like 20. Play around with the value until you’re happy for the final piece. 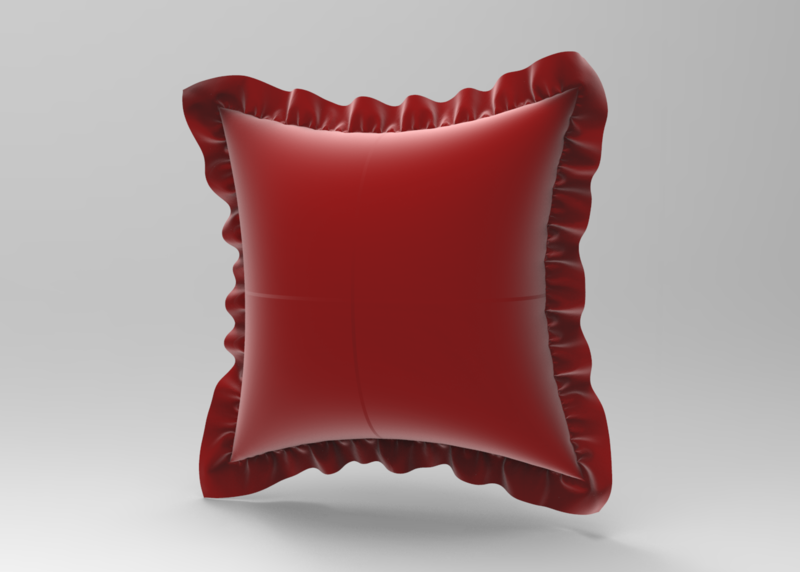 Starting the cloth simulation now would make the pillow inflate, but it would fall to the ground and perhaps bounce around. Not what we want for our pillow, we’d rather it stays in one place. Marvelous Designer does this because it simulates garments for humans living on earth, and as such our planet’s gravity is accurately simulated. 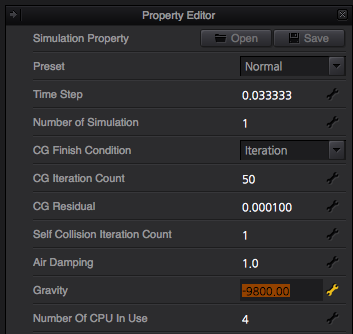 To turn gravity off, head over to Preferences – Simulation Properties. The Property Editor will have changed its options. 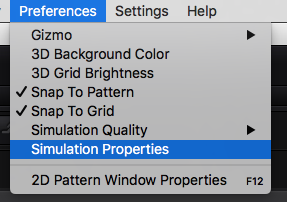 Don’t be confused that when we had the patterns selected, there was also a section called simulation properties: what we’re editing now affects the whole cloth simulation. Find a section called Gravity. It’s set to -9.800 by default (earth’s gravity). Change it to zero, start the cloth simulation, and your pillow will stay in place. Here’s the full project for Marvelous Designer 4. Feel free to dissect and amend it.